Ann Guilfoyleis a wealthy and independent young woman in Regency England, with her life planned before her. She opens her drawing room to what she considers the creme de la creme of thinking people and she intends to marry the exact right man. Then financial tragedy strikes and she finds herself 200 miles from London trying to settle herself into country life, a fate worse than death for a woman who considers herself sophisticated and intellectual. She thinks she can only mock thegentleman farmer Mr. Highet and his “gargantuan” mother. In short, Ann is a snob who thinks this country gentleman beneath her, yet when a different tragedy strikes, this one of the heart, she accepts his offer of help and her attitudes and heart begin to change. This is not a story full of suspenseful, page-turning moments. The pace is almost as leisurely as the country life about which Hill writes. Yet the way in which Ann grows as a woman is so heart-warming, along with the love story, I have always listed this book among of my top fifty Regencies and worth the reread from time to time. You will likely only find this sbook in llibraries or used bookstores. I’ve seen it for as little as $.01, which is a pity, and it is a quarter of a century old, definitely among the clean, sweet traditional Regencies of old, with an author who is a master character-driven storyteller. The Regency Spy. He is such a popular figure in fiction that it can be difficult to know where the story ends and the truth begins. Accounts of actual spies are vague and difficult to find. Not surprising, as they were spies. 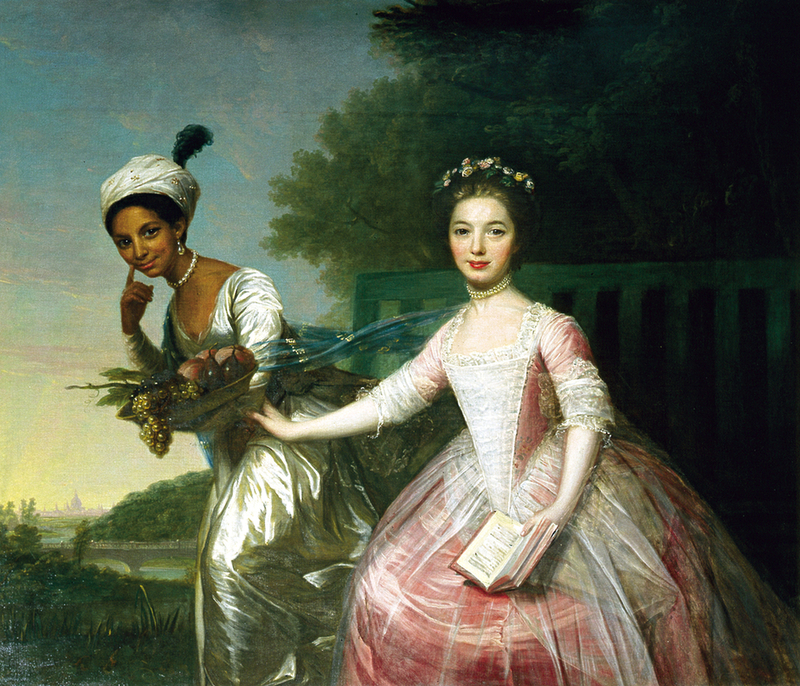 Undercover work wasn’t exactly respected at the time and was usually done by people acting as double agents: mistresses, traveling poets, scholars, diplomats, etc. By most accounts, the French were a little better at it than the English, though it’s possible the English were simply a bit better at keeping their activities secret. In my recent book, A Noble Masquerade, a Napoleonic spy had infiltrated England and our heroic English spy has to stop him. 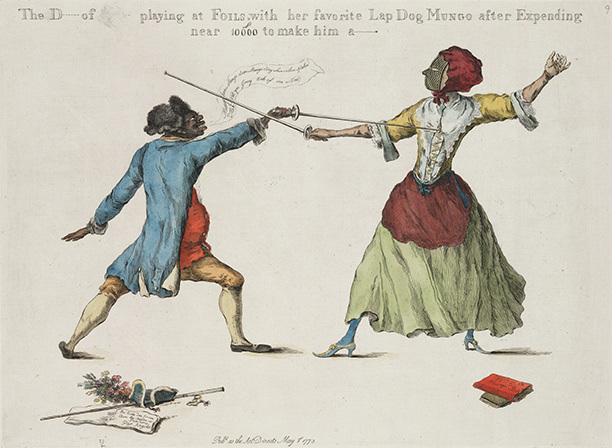 The spies in A Noble Masquerade are considerably more organized than the real Regency spies were, all being connected by a centralized War Office. There was no organized spy office in England at the time, particularly not a government recognized one. Instead of having a centralized organization, if someone such as the prime minister, foreign minister, or even General Wellington needed information, they built their own slipshod network. Most spy work at the time was actually happening in France, which is where the spy in A Noble Masquerade got his start. 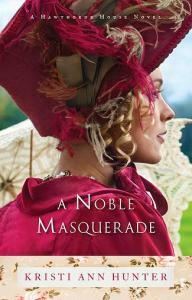 A Noble Masquerade is now available in eBook, paperback, and audio book formats. Find out more at Kristi’s website. Dame Barbara Cartland wrote over 723 books. Known for setting her novels in the Victorian era, she was an exceptionally popular novelist, peaking in the 1970s. (I remember my mother reading her novels.) After recently picking up two Cartland books at a used book sale, I was pleasantly surprised to find The Curse of the Clan (published in 1977) to be quite satisfying. Imagine my further delight that the novel is set in 1822. Set in the late “Regency” to be sure, the tale follows an orphan who is elevated to the title of Scottish Duchess. Her fearsome, yet handsome husband marries her to gain revenge upon a neighboring clan who foisted an adulterous, now-dead, wife upon him. The story boomed along with vivid action and upon reflection, would make an excellent movie, if historical films were popular. The scenes at the orphanage, a carriage accident (which affected the plot), a shooting attack, revelation of her true parentage, then the winning over of the husband…all would make for a delightful, picturesque movie. I got a real kick out of finally trying a Cartland book, and wouldn’t hesitate to read more –especially if I can ferret out which were set in the early 1800s. 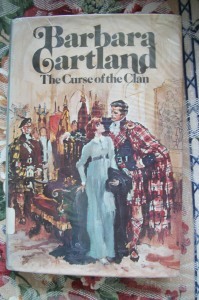 Have you read any of Barbara Cartland’s books? What do you think? It’s my pleasure to have Kristi Ann Hunter on my porch today to talk of her latest novels. Really, I should have had you here sooner since we are both Georgia Peaches, but we’ve both been a little busy. 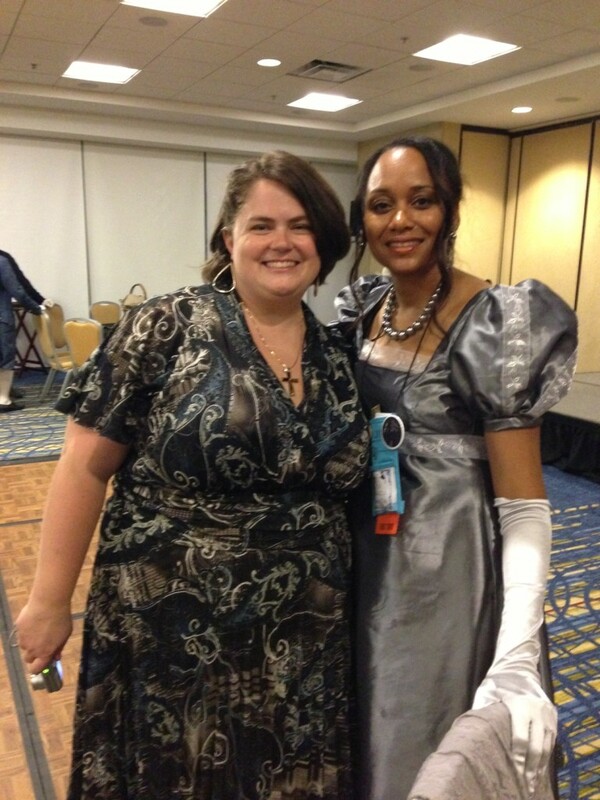 Kristi Hunter and I enjoying the music at RWA 2013. Please have a seat on the pollen free chair. So Kristi Ann what made these stories come to life in your head? There are always stories in my head. It’s a very noisy place. Isn’t that always the way. Please continue. There are a few things I do to streamline my thoughts enough to actually pull a coherent tale together, though. Usually I start with a question, a “What If” sort of scenario, or I start with a character that I’d really like to explore. Once I have both of those pieces, I know I’ve got the basis for a real story. In A Lady of Esteem I started with the idea of Amelia. On the surface, Amelia had everything she needed to make a good connection – respectable family, connections to aristocracy, and a home in a fashionable area of town. Even though she had the necessary elements, they were useless because she had no way to utilize them. She’s a Cinderella figure oppressed by circumstances instead of people. The big question then was what do I do with her? That’s where the big What If question comes into play. What if the servants of London decided they wanted something to happen? These people are so deeply embedded in the lives of the aristocracy that it’s hard to believe they couldn’t do something is they put their collective minds to it. That was the birth of the story. What do you want people to think about when they read a Kristi Ann Hunter book. While they’re reading it I hope they’re not thinking much of anything. My books are meant to be an enjoyable escape. I hope the story takes them into the world of Regency England until they’re completely immersed. A laugh or two would be good. Mostly I want them to enjoy the story. Once they’ve closed the book is another story. If an element of the story resonates with them and gets them to think about life a little differently or come to a better understanding about God and how much He loves us, then I consider that a success. 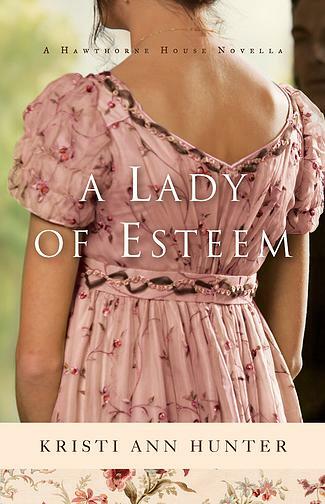 A Lady of Esteem is available now as a free eBook! 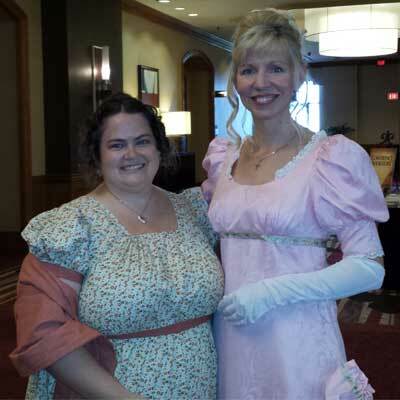 Kristi Ann Hunter and Julie Klassen in sweet Regency gowns. Will she lose her reputation when the world that has only just accepted her turns its back on her, or will she rest in the support of the friends who’ve become like family and the man who’s shared his faith and captured her heart? On September 8th Kristi Ann Hunter’s first full length Regency Romance Will be Available. 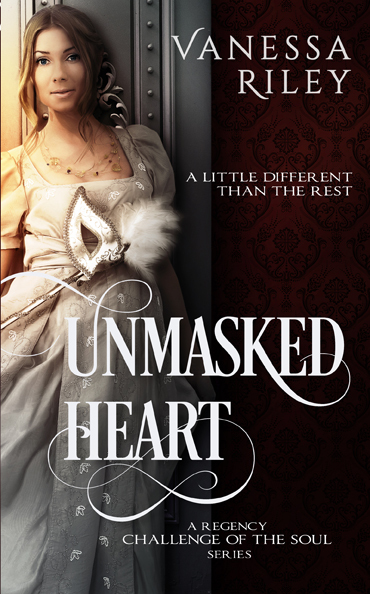 A Noble Masquerade will be available everywhere on September 8! Thanks for visiting with me. Next time I’ll serve cake. Hi, readers! Susan here with another blast from the past — 1987 to be exact. I expect many of you inspirational Regency-lovers are like me…you loved the older, clean Regencies that were so readily available a few decades ago, published by Signet (my faves), Zebra and the like. In fact, my efforts toward a fiction-writing career began with a desire to try my hand at writing one of these thrilling, yet clean, romances…with a dash or more of the Christian faith included as a character developing element…sometimes even as a plot twist or a conflict-causing, stake-raising factor. Don’t let the title throw you, the book is a charming tale of true love, the twists and turns and the happily ever after. With two attractive suitors trying to lay claim to her heart and a father insisting she marry for a fortune, she has deep waters to navigate all the while trying to protect her beloved sister. If you can find this title, I believe it might be one of your favorites too — though it is not a true inspirational romance. My hopes are that the Regency genre will grow in popularity again, with Christian writers bringing it to the fore. Hi all, Susan Karsten here! …Back from an absence of about four months (that pesky tax job). 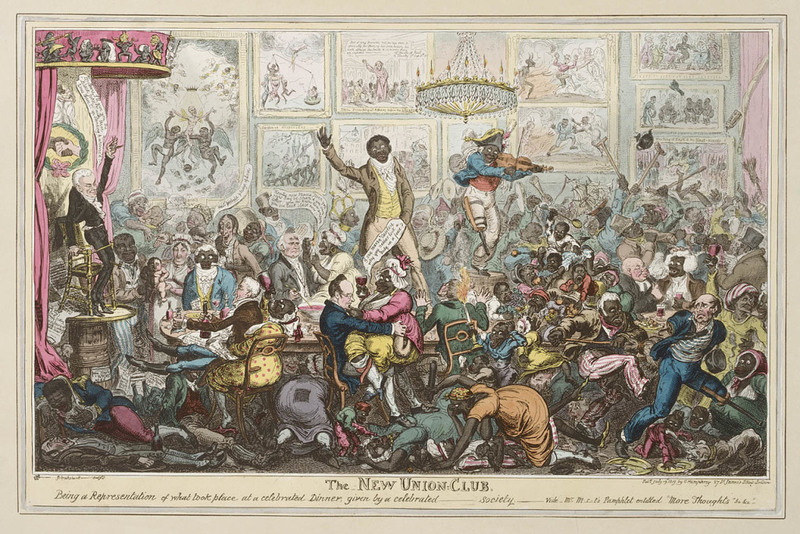 Since I enjoy Camy’s posts on older regency books so much, I am bringing you info about a book, and its author, and telling you about her extensive and delicious back-list of regency reading fun (over 90 titles). If the author Marion Chesney is not familiar to you — get thee to a bookstore — or library in this case — since she isn’t (boo-hoo) writing regencies anymore. No, she now only writes fabulously popular cozy mysteries now and you may know her as M.C. Beaton. However, her regencies are GREAT, and with some digging, are still available to the avid fan. She’s got some of her backlist out as e-books lately, too. 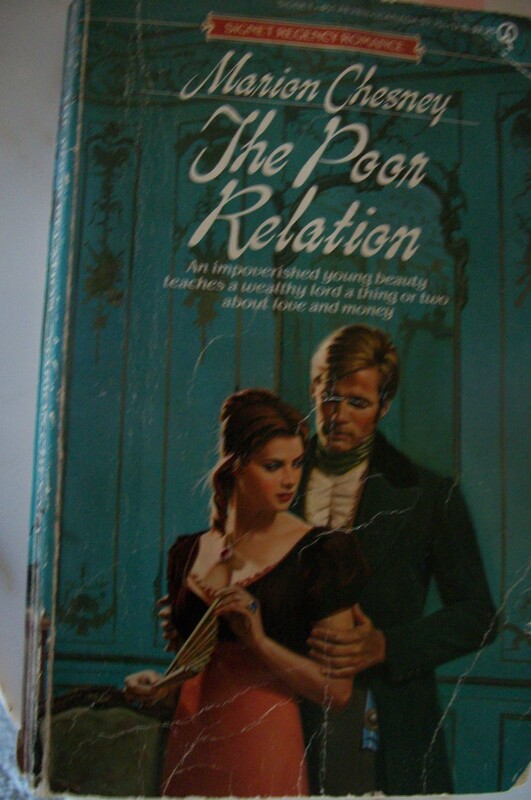 Chesney’s debut (writing under her own name) book, which I happen to own, is “The Poor Relation.” Heroine and former debutante Amaryllis Duvane’s fortunes have sunk low and she is reduced to the status of serving her wealthier relatives. Her past love, the Marquess of Merechester, shows up to court one of these wicked stepsister types, and the drama begins. I’ll happily admit to being a huge fan of Chesney, in all her genres. But the chance to read one of her first efforts makes me admire her career trajectory even more. As one familiarizes oneself with her work, it’s clear that as she gained publishing popularity and confidence, more and more of Chesney’s delicious humor comes out on the page. I can only hope to instigate half as many snickers for my own readers…someday…when I make my debut! 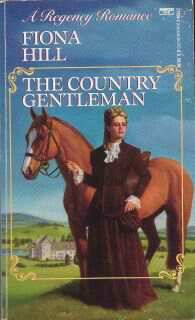 If you’ve ever enjoyed Chesney’s regencies, please add a comment. Poll: How to do you find new Regencies to read? Camy here! I was having a discussion with a friend about how Regency romance lovers find new Regencies to read. I usually do it by word of mouth—recommendations from readers on a Goodreads group forum board, or from blogs like this one. I was curious how you find the new Regencies you read/buy/borrow? You don’t have to do this, but what I did was go look through my book catalogue database. I use Booxter, which is a Mac program that enables me to enter all the books I’ve read and/or own. I can organize it and search it as I like, which makes it very useful. I went to all the Regency romances I have and sorted it so that I could see the last 10 books I most recently obtained. Four books were ebooks I bought from Regency authors I already know I enjoy. I get their newsletters and when they had a new Regency available on ebook, I bought it. Two books were given to me as gifts from a friend who had extra copies of an author’s books. Two books were free ebooks that I saw advertised somewhere, either on Facebook or BookBub. The last two books were actually two of three books that I got from Paperbackswap. 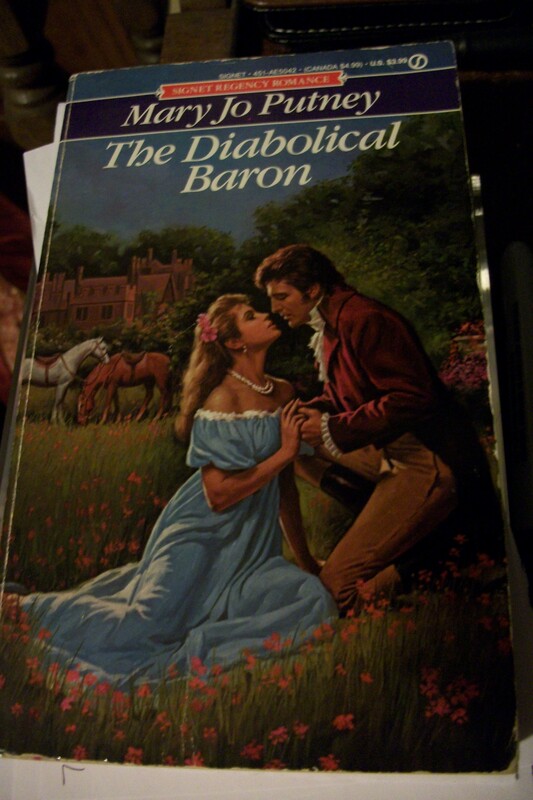 They are out-of-print Traditional Regency Romances that were published by Signet in the 80s and 90s and are now only available as used paperback copies. So … how about you? You don’t have to be as exact as I did, but how do you find new Regencies to read and/or buy? There’s none better than NICHOLAS BRENTWOOD at catching the felons who ravage London’s streets, and there’s nothing he loves more than seeing justice carried out—but this time he’s met his match. Beautiful and beguiling EMILY PAYNE is more treacherous than a city full of miscreants and thugs, for she’s a thief of the highest order . . . she’s stolen his heart. That’s the description for the latest novel from our very own Michelle Griep. Emily Payne doesn’t make a very flattering first impression on her temporary guardian, Nicholas Brentwood. Her second one isn’t much better. He thinks she’s a spoiled excuse for a gentle lady and she thinks he’s a stuffy killjoy. What they both thought would a be a few weeks of escorting her to and from the stores quickly turns into a fight for their lives. Before long their relationship is thrown into a territory neither is prepared to handle. Tragedy and danger have a way of doing that, after all. So much more than a love story, Brentwood’s Ward will take you on a nail-biting adventure as justice and love try to prevail. You have the opportunity to win a copy of Michelle’s latest tale by leaving a comment below. You can enter again on each post now through the end of next week. The winner will be chosen on February 28 and have their choice of print book or audiobook.